In November, a North Korean soldier risked his life to flee across the border to the South amid a hail of bullets from his former comrades. Now, the same soldier has confessed to killing someone back in his home country, South Korean newspapers report. The 24-year-old soldier, Oh Chung-sung, reportedly told investigators that he was involved in a murder case in the North. The report comes by way of the conservative Dong-A Ilbo daily, which cited an unidentified intelligence official. "I committed a crime in North Korea, which caused a death," Oh reportedly said, although the nature of the crime was not made clear — including whether the death was accidental or intentional. When asked about the report, the South Korean Unification Ministry replied that the questioning of Oh had not yet concluded and therefore they could not comment. Unconfirmed reports from Chosun Ilbo in December said that Oh defected because he was involved in a fatal vehicle accident, and the fear of punishment was one of his reasons for defecting. Oh's dramatic defection in November made headlines worldwide as he was filmed driving across the Demilitarized Zone (DMZ), then sprinting the rest of the way after he crashed his vehicle. All the while, North Korean soldiers fired at him, with several bullets finding their mark. Shot in the back, shoulder, and thigh, Oh limped across the border line at the truce village of Panmunjom. South Korean troops airlifted him to the private Ajou University Hospital, where he underwent two surgeries and numerous blood transfusions. Oh, who is believed to be the son of a high-ranking military official, was diagnosed with parasitic infections and hepatitis B before being transferred to a South Korean military hospital in December. Doctors will decide sometime in the next several days whether or not to discharge Oh. If they do, then he will be transferred to a defector center meant to help North Korean defectors adapt to life in the South. As there is no extradition treaty between the two Koreas, it is unlikely that he will be returned to the North regardless of the nature of any crimes that he committed. But if he is found to have committed a crime, particularly a violent one, he may lose some of the benefits he would enjoy as a defector. Although thousands of North Koreans defect to the South every year, it is very rare for them to do so through the shortest route, the DMZ. Most of the 30,000 North Koreans who have defected to the South since 1998 have done so by crossing through the border to China, then fleeing to sympathetic countries like Mongolia or Thailand, who "deport" them back to South Korea. Before Oh, the last defection across the JSA occurred in 2007, and before that in 1998. Another defection occurred after Oh, in December 2017. None of those incidents involved gunfire. 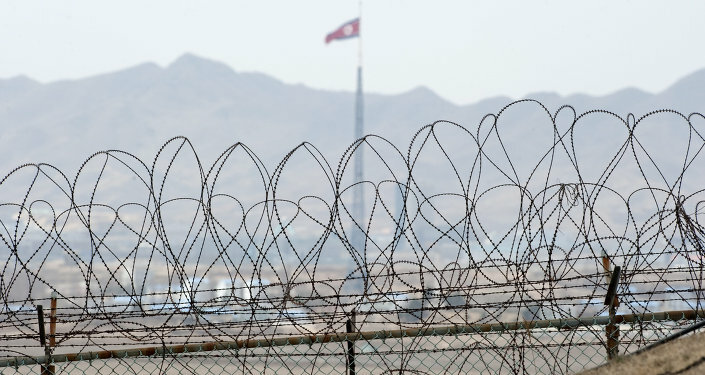 The Unification Ministry reported that 1,127 North Koreans fled to the South last year, the lowest figure since 2001.